We don't really do resolutions, but the city needs more bike lanes and the world needs more people who ride bikes for transportation in cities... so here's some dandy ideas for bike "resolutions" for 2018 for your consideration. We've also got some top notch suggestions for the City of Toronto on how they can speed up the bike plan implementation. Warning: This is not going to be one of those new year's list that says you gotta eat healthy (because you already do that) but for sure I've resolved to do more non-bike exercise like yoga. Stretching is important. We are definitely going to ride somewhere we've never ridden before - and you should too! It could even be some place outside of Canada. Whether it be CitiBike in NYC or a country road between vineyards in France... there are lots of great places to bike in the world. It will give you a greater appreciation for your own city's bike lanes. Of course, there's lots of fun to be had simply by exploring your own neighbourhood or trail network by bike. Speaking of the French,why don't you definitely try to watch at least two stages of the Tour de France this year. I know, I know, sports can be such a bore, but the commentators really steal the show sometimes (especially if you can get a bit of Phil Liggett who will say things like “...their eyeballs are really rattling in their sockets now!” It's the world's biggest sporting event and the biggest bicycle stage race. The combination of stunning aerial and vistas views are incredible....so it's fun to watch, even if you aren't into the race itself (which is very entertaining.) It's also one of the only remaining sports that truly values sportsmanship. In Canada we have the Grand Prix Cycliste in Quebec at the end of the summer if you want to see some of the top cyclists competing live it's just a short VIA train trip away. And if the TdF inspires you, why not go on your own longest ride ever. If you aren't sure where to go or how to get there, you could join a bike club. There are lots now since so many people love cycling. Another thing to add to your 2018 to do list: a bike mechanics or bike building course, usually available at the local community bike shop. Of course, at dandyhorse we suggest you also support your local bike advocacy groups and push local governments for more investment in bike infrastructure AKA more bike lanes please! Oh and we must keep an eye on what is happening with the West Toronto Railpath extension south. But we thought it would be best to talk to those in the know around town and ask what bike lane projects they think should be prioritized for 2018. Active Transportation champion Michael Black suggests that the City connecting Bloor at avenue to the Queens Park bidirectional. We need to start talking about Kingston Rd. and Danforth Ave.
Midland Ave. cycling infrastructure is sorely needed, as there are limited north-south options in Scarborough. Gatineau Hydro Corridor Trail improvements would be nice. Better way finding on the trail is needed, similar to what was recently implemented on the lower Don River Trail. A lot of east-end riders who come through our hubs bemoan that the separation (bollards) on the Bloor Viaduct is seasonal. It really should be permanent. Bloor Street between Sherbourne and Avenue Rd. Right now the bike lane goes from Broadview to Sherbourne and then you take your life in your hands to get across to where they restart. Danforth would be a game changer--but only if it joins the rest of the Bloor lanes. Elizabeth St. south of Gerrard (…such a small yet annoying gap). Bay Street (it's interesting that you can't get to City Hall by bike. You can get to within 140m of it (on Richmond) or 180m (on Bay), and then you're left to fend for yourself for the final stretch. Bay is on the 10-year Network Plan, but we’re not sure when it's supposed to happen. Eglinton east of Victoria Park. They're in the process of doing a secondary plan right now for that area (Golden Mile), with the Crosstown going in. It's going to completely change, from being parking lots to being condo towers, and so far the plan includes bike lanes. There’s a small bit of trail that is working its way through the approval process that would connect the Gatineau Corridor with the Don Valley Trail - that would be an impressive link to see completed this year. “The 10-year cycling plan would add 525 km of biking facilities, and was originally estimated to cost $153.5 million. 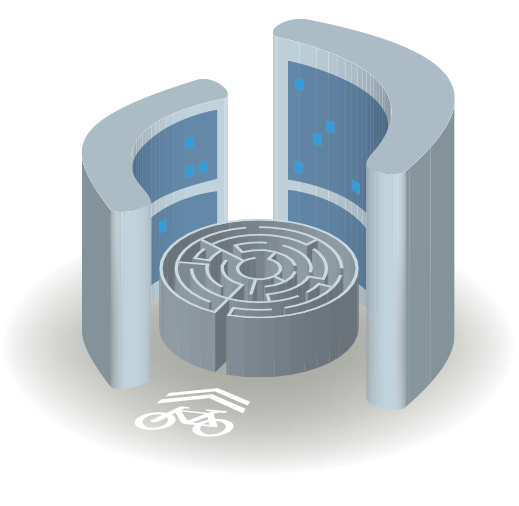 [Bike infrastructure should be added to] UTSC around the Pan Am Centre and the HP Health Sciences campus. Joining this area to Lawrence Galloway with lanes along Morningside, Lawrence and Ellesmere would provide access from high needs neighbourhoods to cultural resources. Additionally, it would serve the many students who live in that area and who are currently unable to get to basic services using active transport. It would be great to see a similar project around York too. 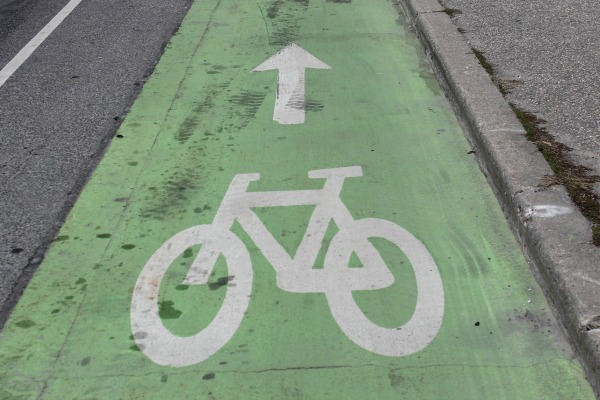 Support bike lanes in your city/neighbourhood! Write to your councillor and post your experiences online to show the powers that be you are biking it and liking it! Meet the new plan, same as the old plan?